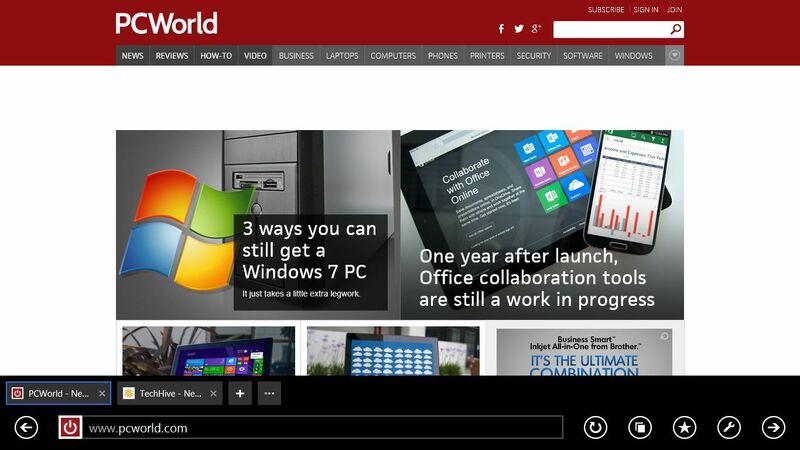 Microsoft's impending update for the Windows 8.1 update tries hard to woo over disgruntled desktop fans. Is the third update the charm? "We pushed boldly in Windows 8, and yet what we found was that we got feedback from users of those millions of desktop applications that said—if I were to put it in coffee terms—‘Why don’t you go refine the blend here?’"
Microsoft continues to refine the blend in Windows 8.1's upcoming spring update. 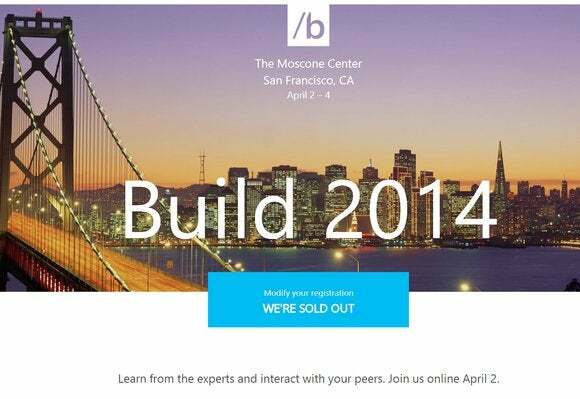 It isn't expected to land until after this year's Build conference in April, but Microsoft accidentally leaked a version of the update earlier this month, giving us a glimpse of what's in store. By far the most welcome change in the Windows 8.1 update is one many users may not even notice. If Windows 8.1 does not detect a touchscreen input on your device, it'll boot directly to the desktop to keep keyboard-and-mouse types away from the finger-friendly Live Tiles. The operating system then tosses up this new tutorial prompt to tell you how to find the Metro Start screen. Now for something more noticeable: As has been reported since rumors of the update were first whispered, Microsoft's Windows 8 apps now appear in the taskbar, fully mimicking the functionality of traditional desktop software. 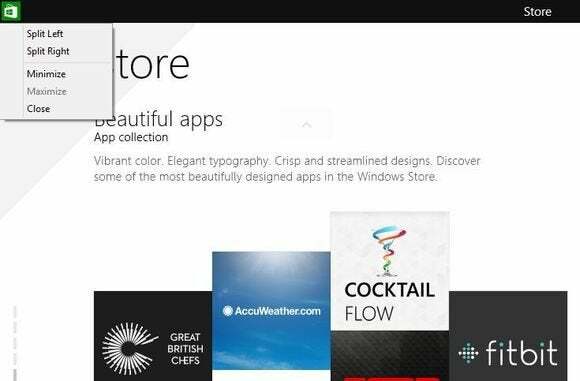 The Windows Store app is pinned in the taskbar by default in the Windows 8.1 update, no doubt to both serve as a guidepost to the new feature and drive people to Microsoft's marketplace. Modern UI apps still appear full-screen when maximized. 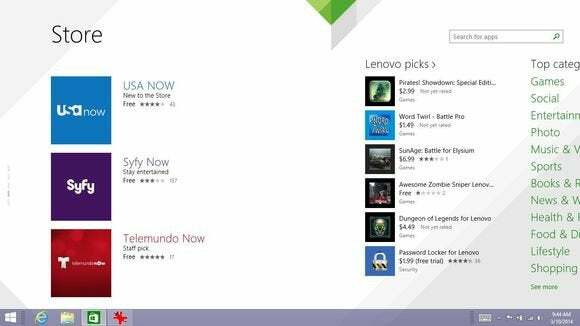 Windowed Metro apps are reportedly in store for the Windows "Threshold" update in 2015. The new taskbar/app unification doesn't end there: In Windows 8.1, the taskbar makes its debut in modern apps, where it can be found by moving your mouse to the bottom of the screen. It continues to span the length of the screen even when multiple modern UI apps are Snapped side-by-side. Between that and the appearance of Windows 8 apps on the taskbar, bouncing between desktop programs and modern UI apps is much less of a burden (though still not exactly seamless). The tacked-on taskbar sometimes covers interface elements in modern-style apps, however, since they weren't designed with the taskbar in mind. Modern apps received yet another mouse-friendly tweak in the Windows 8.1 update. Traditionally, closing apps or Snapping two or more side-by-side required moving your mouse to the top of the screen, clicking and holding, then dragging the app to one of the edges—a gesture designed for touch displays. In the Windows 8.1 update, a small title bar appears at the top of the screen in modern apps. Clicking in the upper-left corner of that bar reveals a mouse-ready context menu with various sizing options, while new minimize and close buttons appear in the upper-right corner. Mouse-friendly context menus also make an appearance on the Windows 8.1 Start screen. 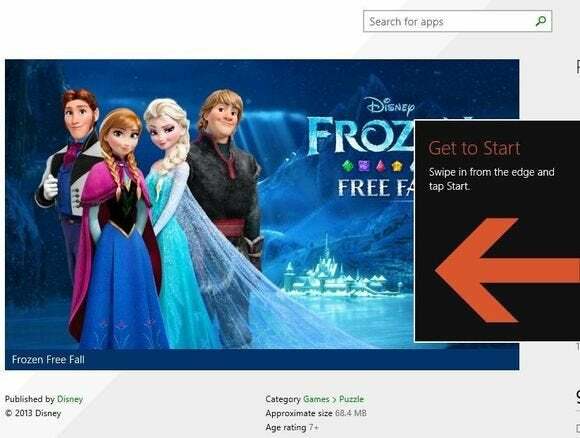 If you're using a mouse, right-clicking on an app now pops up a menu, revealing the various options for that particular Live Tile. As with most of these mouse-centric tweaks, the new menu only appears if you're not actively using a touch input; if you are using one, the familiar modern-style options bar pops up at the bottom of the Start screen. Speaking of the Start screen, it now includes discrete Power and Search buttons in the upper-right corner. 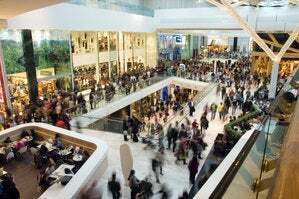 In Windows 8 and Windows 8.1, you could only access those via the hidden Charms bar and search, respectively, which led to widespread user complaints about the crucial features being difficult to find. 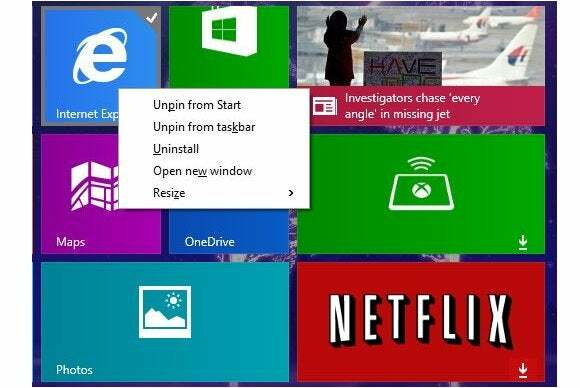 The base version of Windows 8 automatically dumped Live Tiles on the Start Screen for every modern-style app you installed. 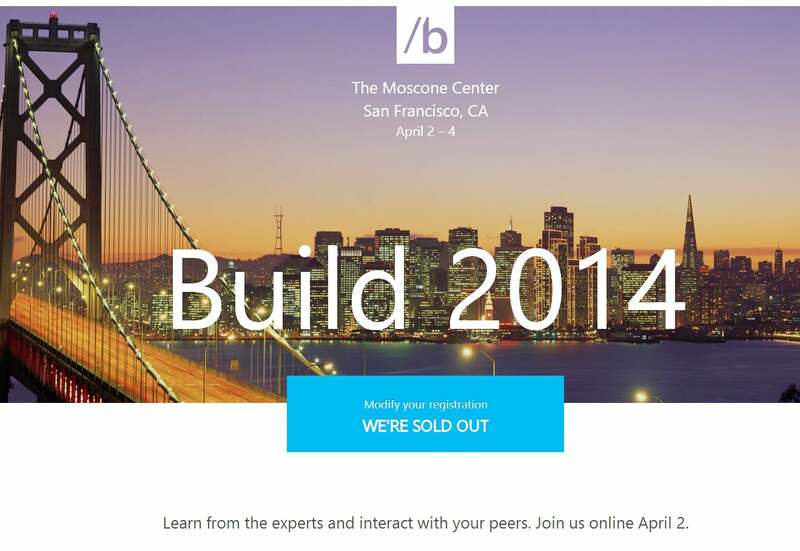 Clutter quickly ensued, and in Windows 8.1, Microsoft required to the user to add them manually. That cut down on clutter, but added a new concern: It became all too easy to forget you'd installed an app unless you added it to the Start screen immediately. 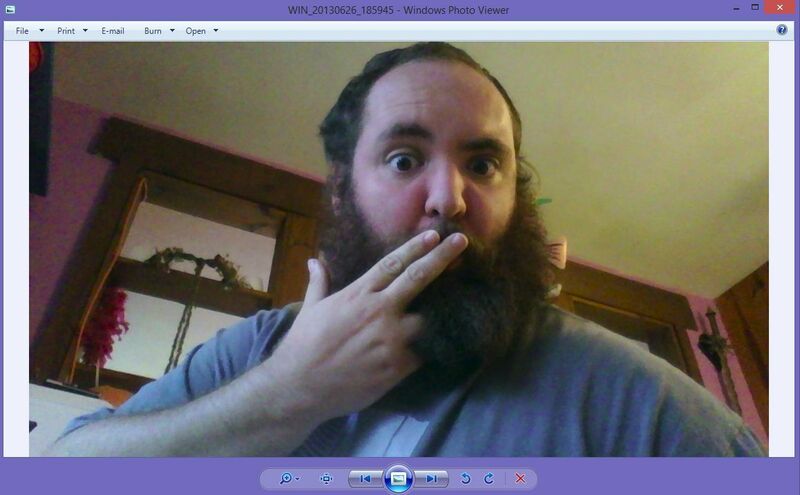 The Windows 8.1 update finally finds the happy medium. 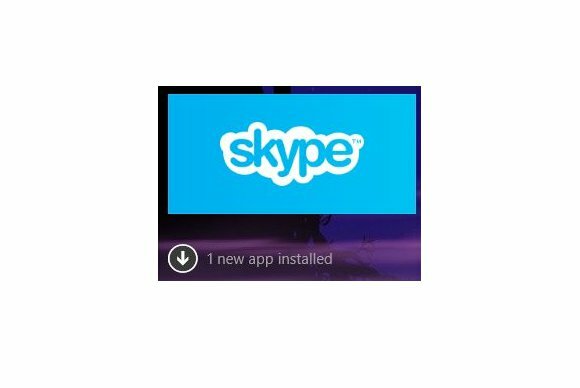 Next to the downward-pointing arrow that brings you from the Start screen to the All Apps screen, a text notification now appears if you have any newly installed apps available. It's subtle, but very helpful. 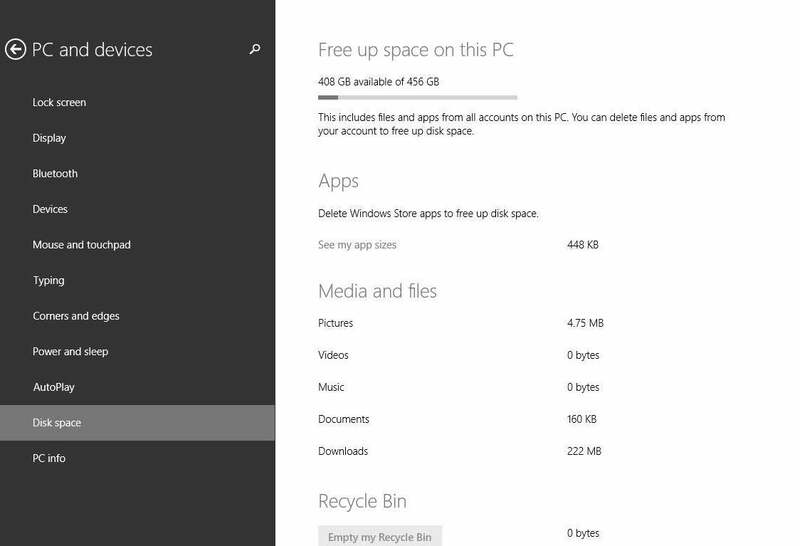 The All Apps screen that displays your installed programs also received a slight rejiggering in the Windows 8.1 update. The Tiles menu under the Settings charm now has a new "Show more apps in Apps view" option, which does exactly what you'd expect by reducing the size of each app's icon. 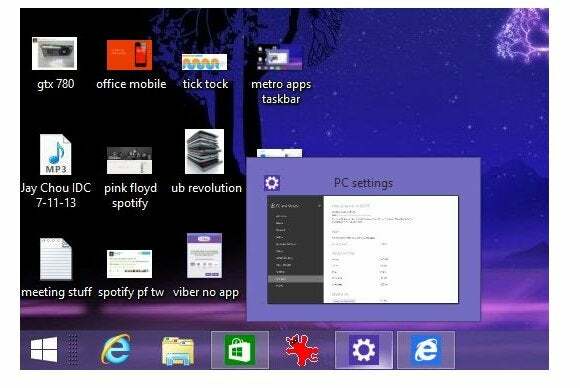 The more condensed view should come in especially handy for traditional PC users who configured the Windows 8.1 desktop Start button to launch the All Apps screen as an ad hoc Start menu. Similarly, the Windows 8 and 8.1 versions of the modern Internet Explorer browser hide the open tabs and address bar behind an interface that needs to be manually summoned. The incoming Windows 8.1 update leaves that interface visible by default now—though whether or not that's a boon is debatable, given how much screen space the designed-for-touch menu eats. A helpful Options button in the Tools menu now negates the need to go mucking around in the Settings Charm, as well, and the button to launch IE's awesome Reading Mode is now more clearly labeled. A new "Enterprise mode" for the desktop version of IE has also been discovered deep in Windows 8.1, but it's not enabled by default and is only accessible with the help of registry hacks. 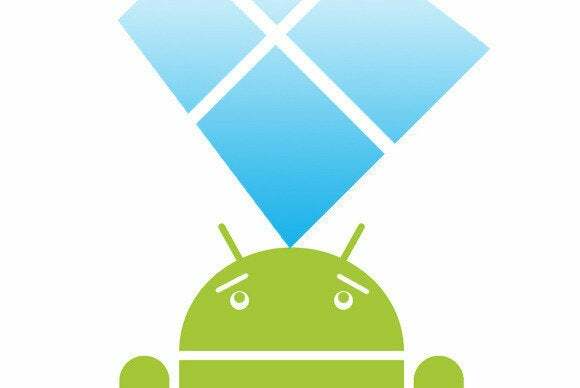 Even if you installed a Start menu replacement tool in Windows 8 to stay forever on the desktop, the operating system still dumped you into modern UI apps (like Video and Music) whenever you opened a multimedia file. Ugh. No more. The Windows 8.1 update opens images and video/audio files in the Windows Photo Viewer and Windows Media Player desktop programs, respectively, when you're using a keyboard and mouse—a truly welcome change indeed. Didn't you hear? 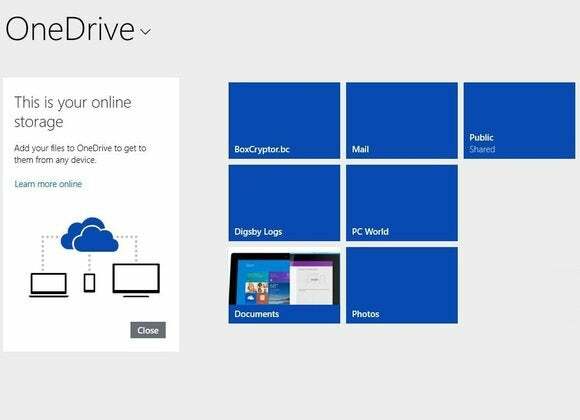 SkyDrive is OneDrive now, and it's been rebranded as such in the Windows 8.1 update. That's the only noticeable difference in the app, however. 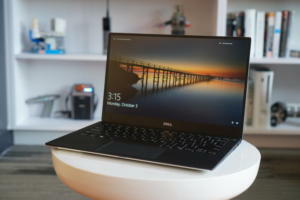 Various other native apps have also seen minor tweaks, though none are very noticeable and since Microsoft now regularly tweaks its core apps separately from the OS itself as part of its rapid-fire updates initiative, it's not really ideal to discuss them as part of the Windows 8.1 update itself. 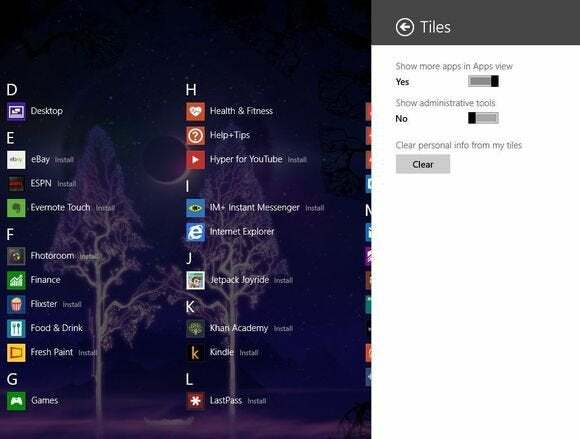 Windows 8.1 added a slew of granular options to the modern UI PC Settings, in a bid to keep Metro lovers thoroughly ensconced in Microsoft's touch-centric interface. 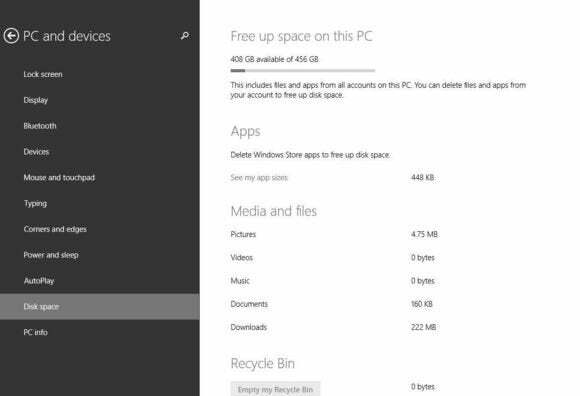 The Windows 8.1 update continues the shift by including a new Disk Space menu under the PC Settings' "PC and Devices" options, which provides tools to view and manage the gigabyte gobblers on your hard drive. A button to purge your Recycle Bin is a particularly handy touch. 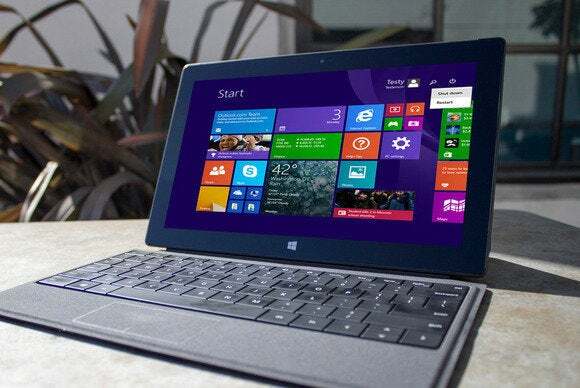 Last and least almost by definition, an under-the-hood change: Microsoft has said that the Windows 8.1 update will be usable on devices outfitted with just 1GB of RAM and 16GB of storage space, essentially halving the previous system requirements. Why move backwards? 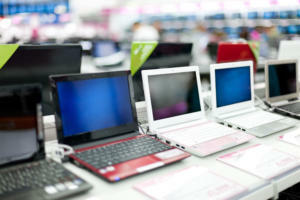 Sick of losing customers to Android tablets and Chromebooks, Microsoft's gearing up for a price war with Google. 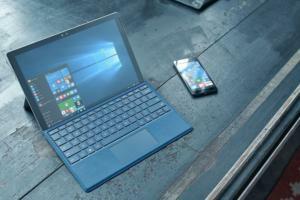 So now you've seen the Windows 8.1 update. When can you get it? 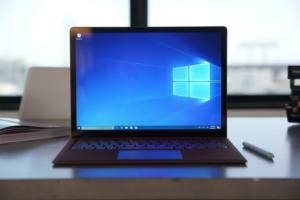 Microsoft is expected to launch the final version of the update—via Windows Update, not the Windows Store—after its Build conference in April, with April 8 being widely cited as the big day. PCWorld will fill in the blanks as information becomes available. We'll have more concrete impressions of the Windows 8.1 update when we have the for-sure final version in our grubby, grabby paws.